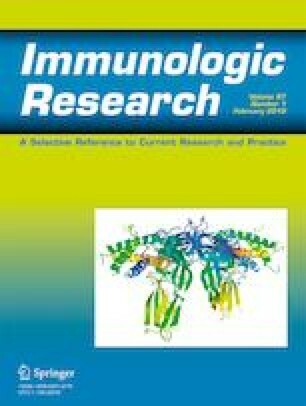 Fc receptor common γ signaling chain (FcRγ), a common subunit shared by Fc receptors (FcγRI, III, IV, FcαRI, and FcεRI), is an important immune regulator both in innate and adaptive immunity. Previous studies have shown that FcRγ was a potential target of inflammatory diseases, whereas the role of FcRγ in sepsis has been poorly understood. In this study, we found that deficiency of FcRγ resulted in increased survival in lipopolysaccharide (LPS)/D-galactosamine and E. coli-induced sepsis in mice. This protective effect was characterized by decreased TNF-α, IL-6, and IL-10. Further experiments in bone marrow-derived macrophages (BMDMs) in vitro also showed that FcRγ deficiency resulted in decreased production of TNF-α, IL-6, and IL-10 upon LPS stimulation. The mechanism study showed that FcRγ was physiologically associated with toll-like receptor 4 (TLR4), and tyrosine phosphorylation of FcRγ mediated TLR4 signaling pathway, followed by increased ERK phosphorylation upon LPS stimulation. Our results suggest that FcRγ might be a potential therapeutic target of sepsis. Zhi-Min Wei and Zhuo Wang contributed equally to this work. This work was supported in part by the National Science Foundation of China (Nos. 91529304, 81473230, and 81673468) and the Natural Science Foundation of Jiangsu Province (No. BK20170732). All animal experiments were performed in accordance with the National Institutes of Health Guide for the Care and Use of Laboratory Animals and were approved by the Center for New Drug Evaluation and Research, China Pharmaceutical University, Nanjing, China.